Sterling Silver Dragonfly shape pendant. A pendant has the power to draw the gaze, especially if it is one of our sterling silver pendants for necklaces. With intricate designs and naturally creative stunning fashion pieces of pendants, you are bound to find a design that matches your expectations. The advantage of getting what you want from our one stop destination is you can browse for and choose the best matched sterling silver pendants sets for your collection. Go for our themed sterling silver pendants for women and combine with a set of multi colored stone earrings. If you are looking to complement a certain outfit, this is the site you need to look at for ideally suited accessories. With our assortment of formal and informal designs of sterling silver pendants for necklaces we are sure you can add a sparkle to your work day. Our range of sterling silver pendants for women has been carved with care and expertise to match the aura you create with your presence. Dazzle beholders by choosing something really impressive from our display. Reduce your everyday anxieties of dressing up by shopping with us and amassing a collections of sterling silver necklaces pendants that deserves a second look. Fashion Jewelry America brings collection of new arrivals, unique, exquisite and rare designs of sterling silver necklaces pendants for women. This is a treat for those women who cannot step out without a piece of jewelry or those who are bored with same old pendants collection. 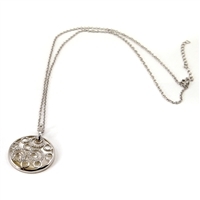 Fashion Jewelry America online store gives its customers an array of uniquely shaped sterling silver pendants for necklaces. These one of its kind silver pendants are help to glam up and create an extinguished look. 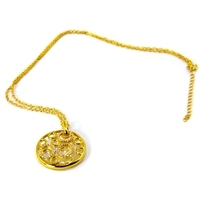 So, whatever pendants you are looking for, they can be easily found online at Fashion Jewelry America retail stores. Also silver pendants for women are affordable and come in greater varieties - an assortment for casual, formal or festive wear. Created by skilled individuals these work out a perfect look. Fashion jewelry is a great way to enhance a women’s attire and the best of them are the elegant and striking sterling silver necklaces pendants. Wearing the right jewelry for an occasion speaks volumes about the personality. And, our intricate designs and simple patterned sterling silver pendants for necklaces are ideal for any occasion.